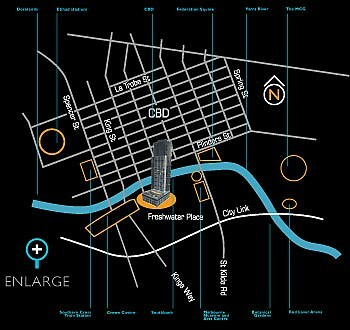 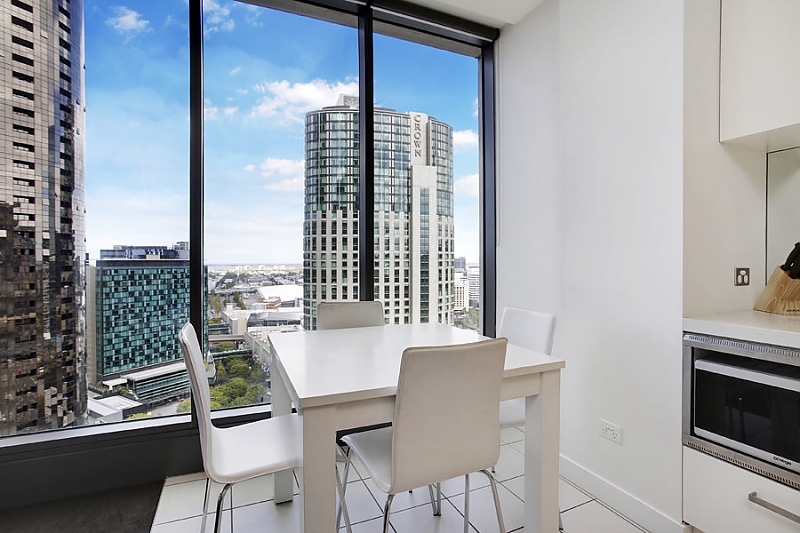 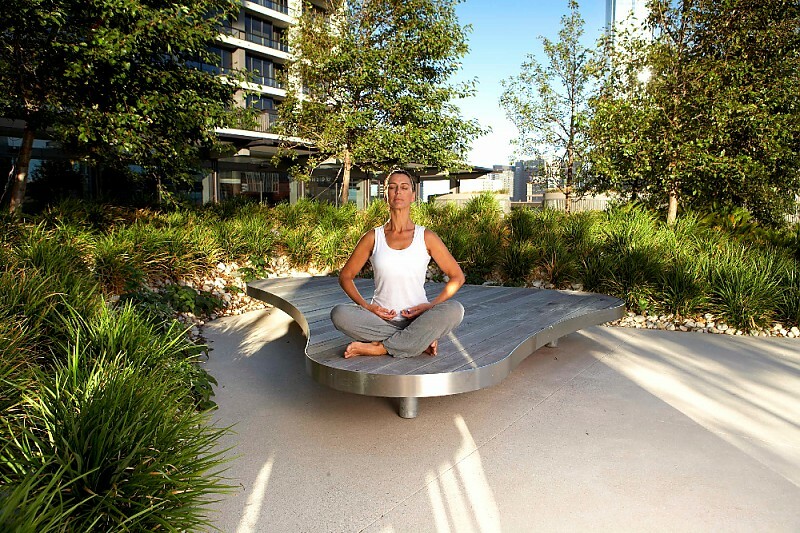 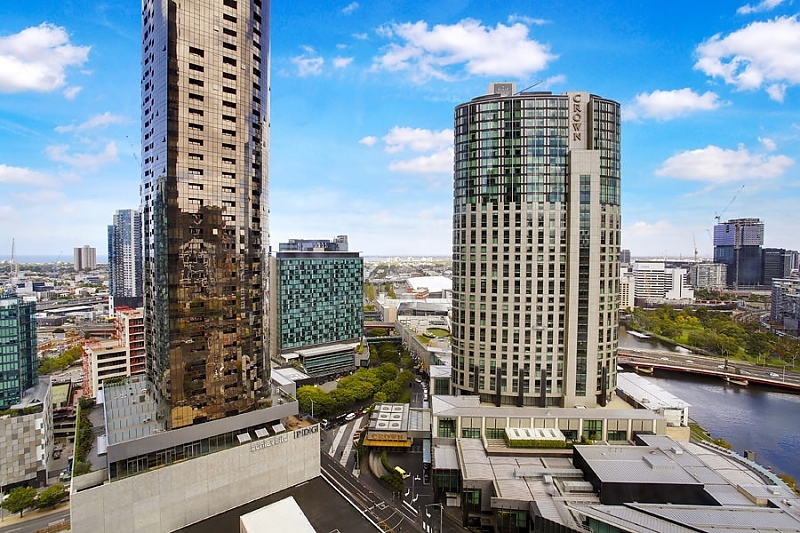 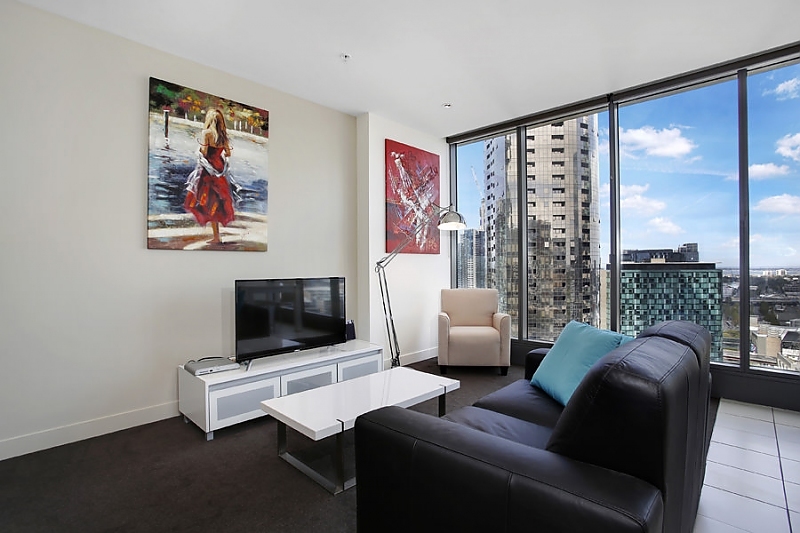 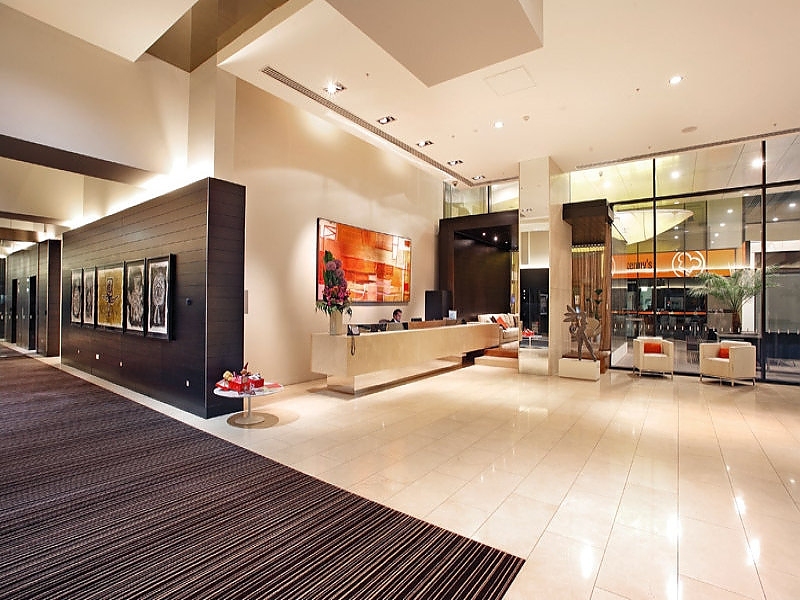 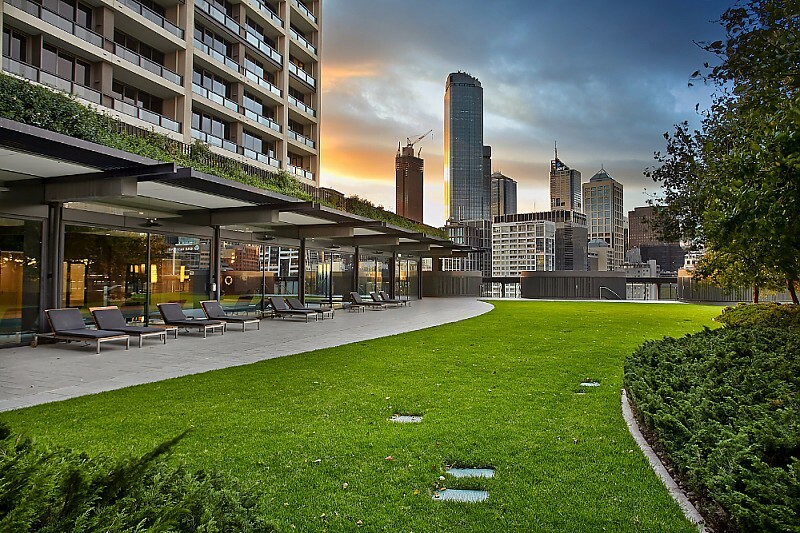 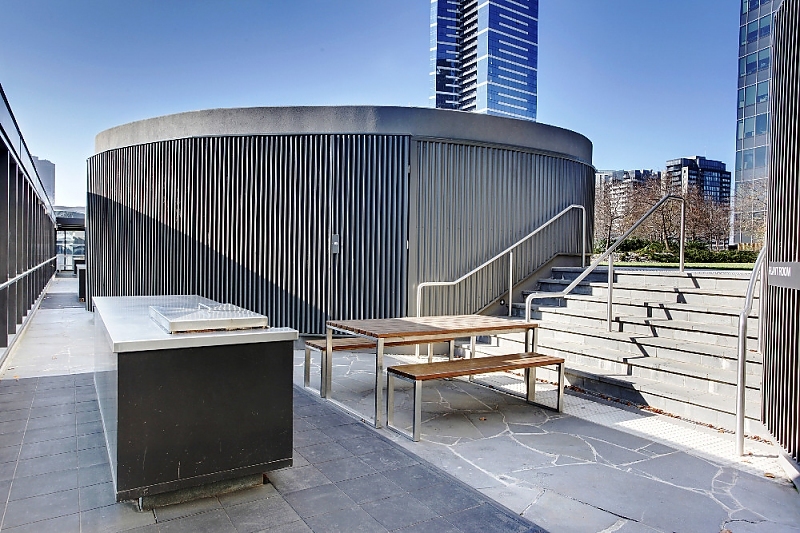 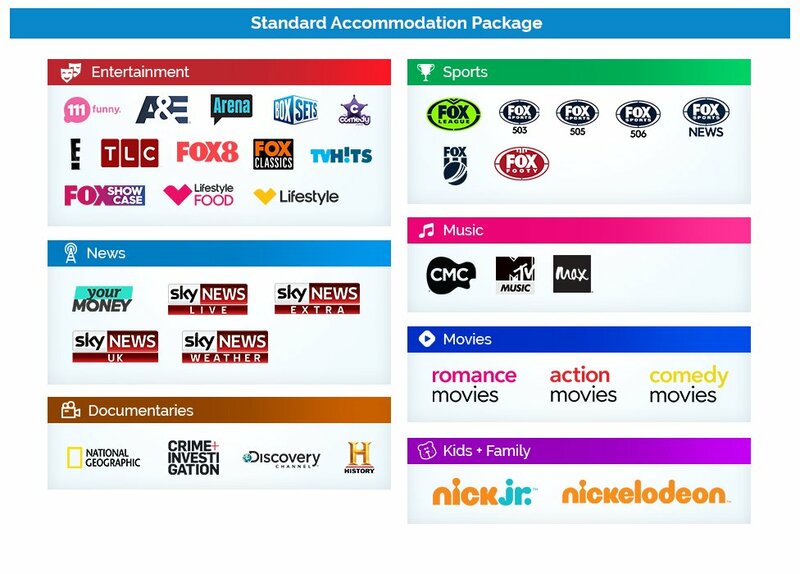 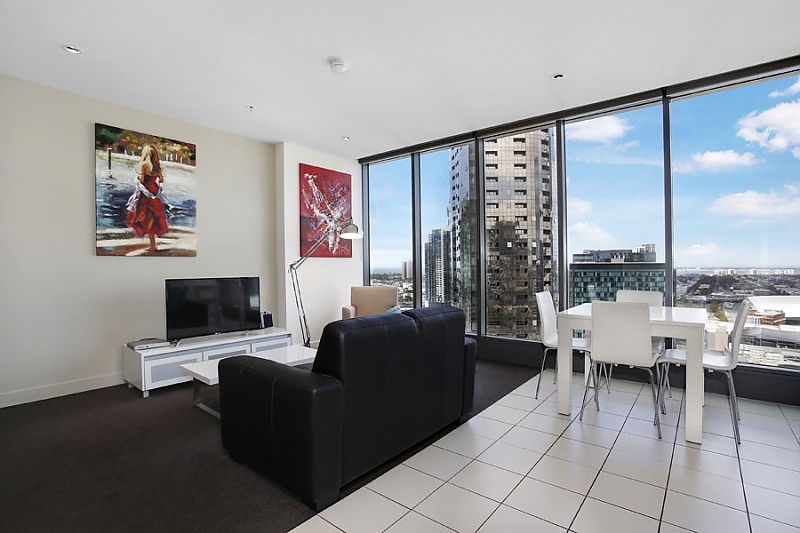 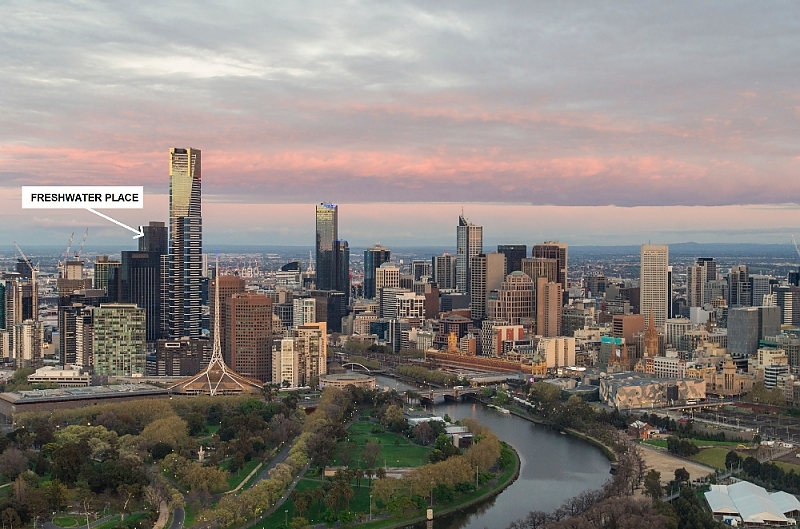 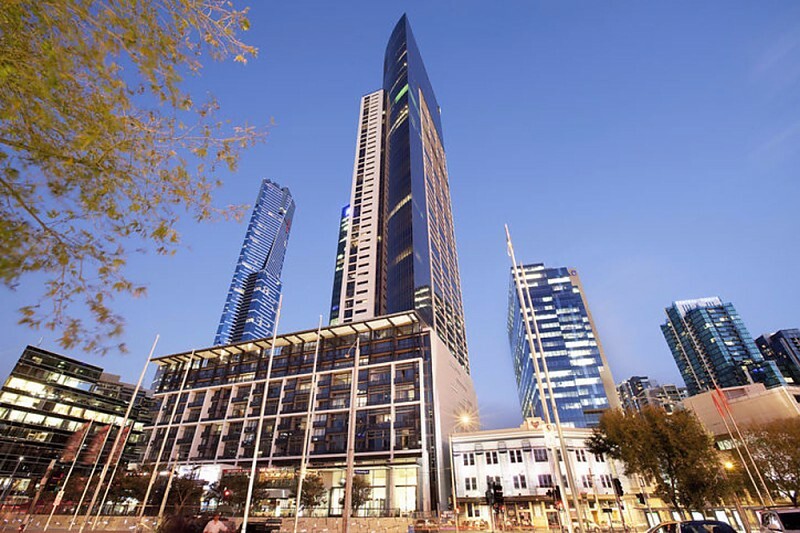 Enjoy stunning sunsets from this west-facing one-bedroom apartment from the 24th floor of a five-star residential complex, conveniently located between Southgate and the Crown Entertainment Complex moments to Melbourne CBD. 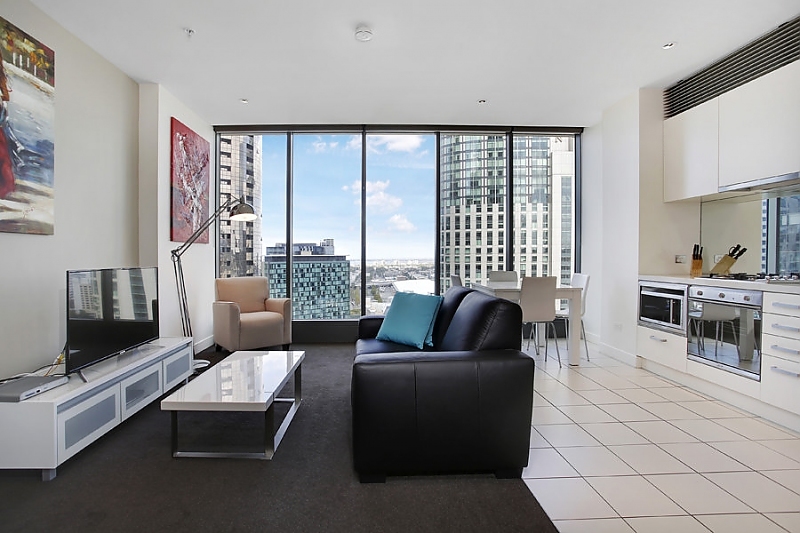 Enter into the reception foyer with built-in workspace that flows into the bright, open-plan living/dining room with floor-to-ceiling city and river views all the way to Port Philip Bay. 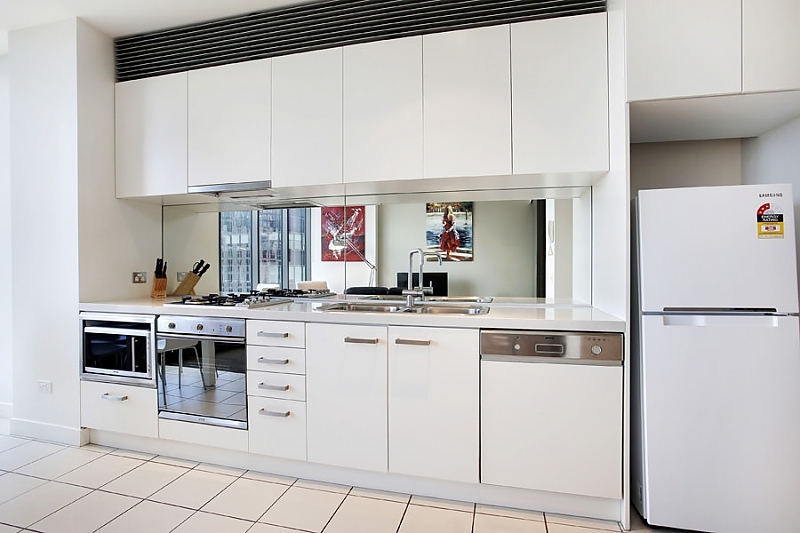 The adjoining galley-style kitchen features premium stainless steel appliances including dishwasher and microwave, plus gas cooking, stylish white stone bench tops and mirrored splashback. 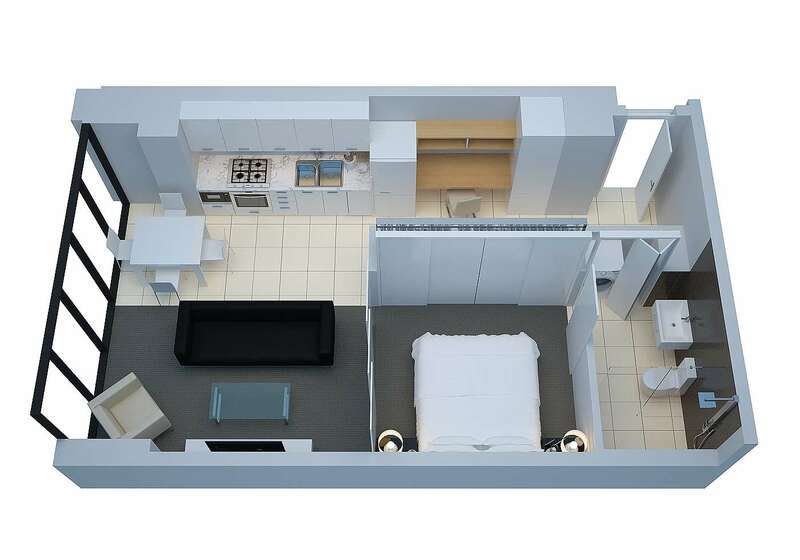 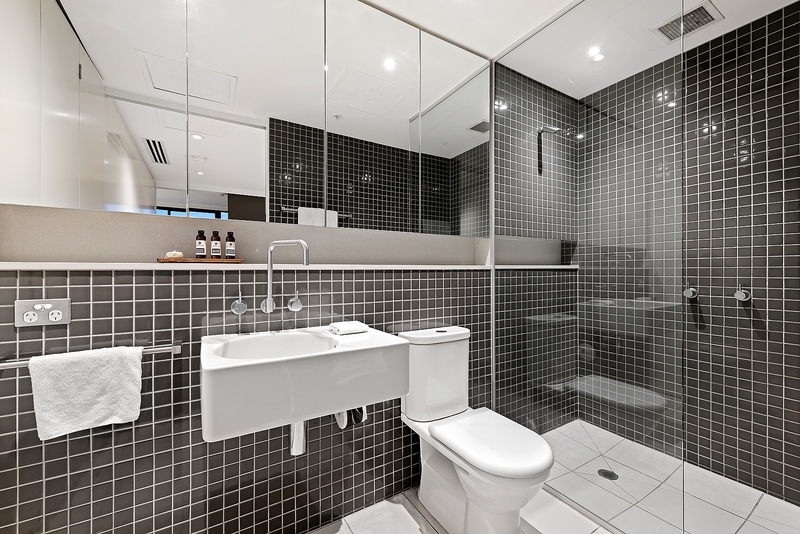 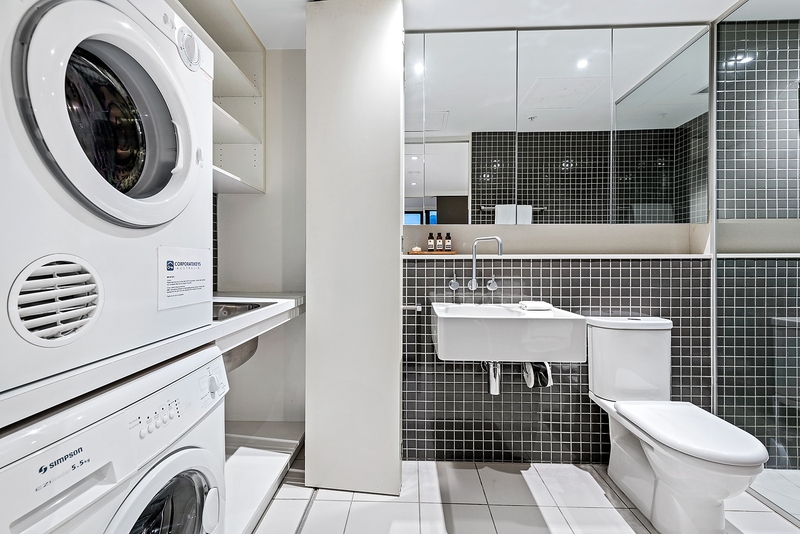 There is wall-to-wall built-in storage in the generous carpeted bedroom, and the luxurious ensuite features a large frameless glass shower, wall-to-wall mirrored cabinetry and a discrete European-style internal laundry with washer and dryer. 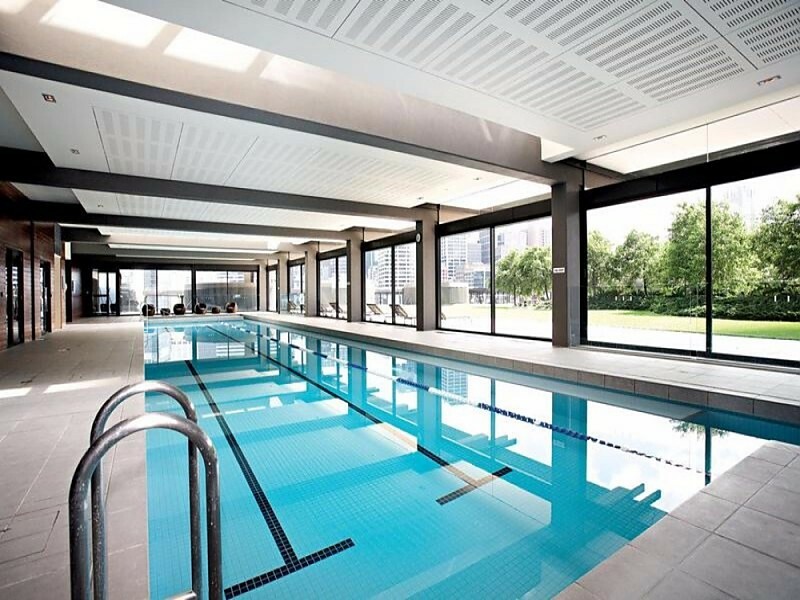 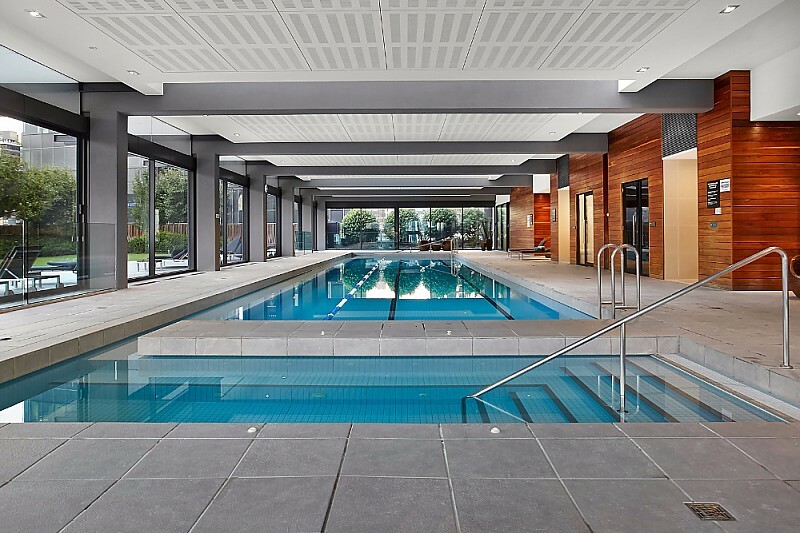 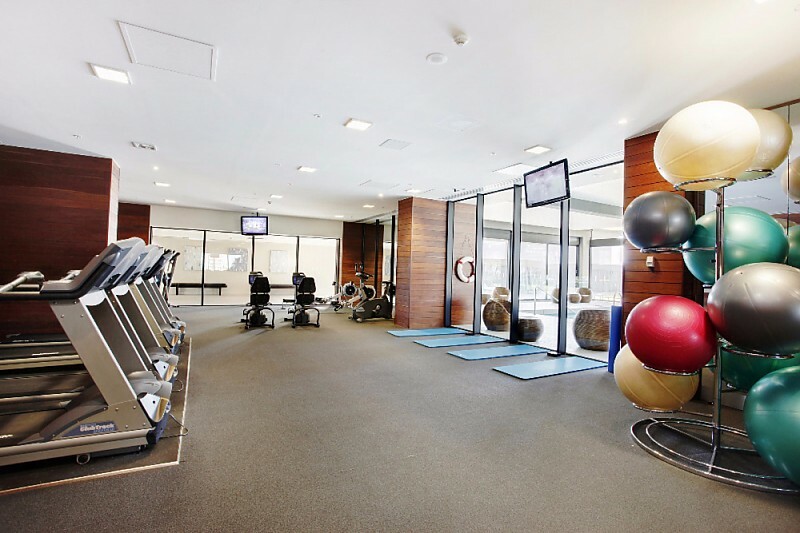 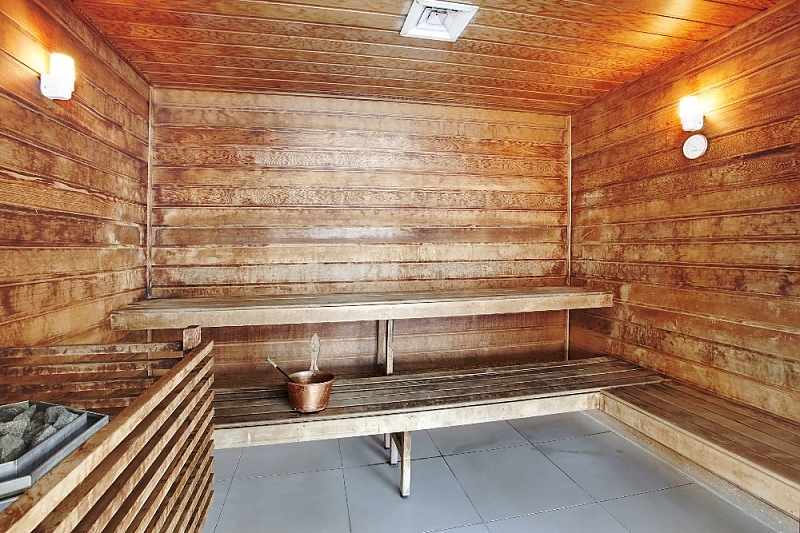 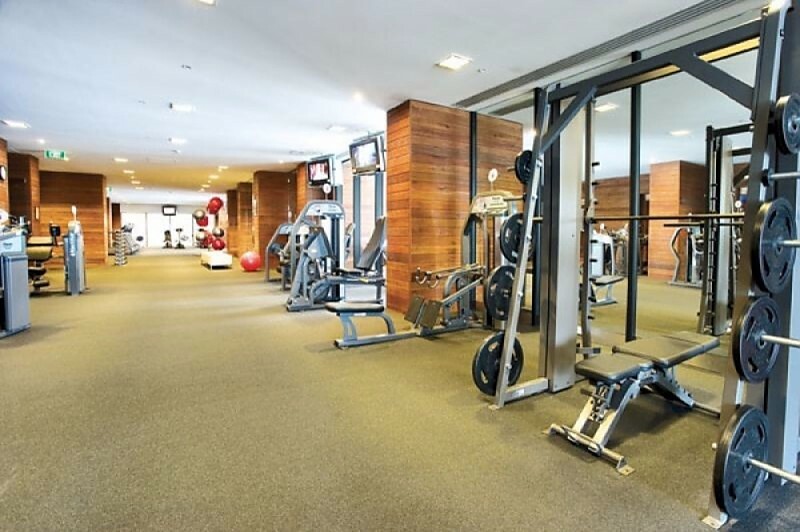 The luxury complex also features an indoor lap pool, sauna, gym and beautiful manicured gardens with barbeque facilities.